A new school year is just around the corner, meaning frantic mornings trying to get everyone out the door and to school (and work) on time. In the hustle and bustle, you may be impatient and hurried. Careless driving is especially dangerous near school zones where there are plenty of kids milling about. According to the National Safety Council, most incidents involving kids happen in close proximity to a school. When you’re in a school zone and the flashers are blinking, you must stop and yield to pedestrians in the crosswalks or intersections. Do not block the crosswalk while waiting at a red light or preparing to turn. Always use extra caution and be on the look-out for children around schools, playgrounds, parks and residential areas. Be extra careful and watchful for bicyclists near schools, parks, and residential areas. Be on alert for bicyclists coming from in between parked cars and driveways. When you’re making a left-hand turn and notice a bicyclist coming from the opposite direction, let the bike pass before turning. In fact, most bike and car incidents happen when vehicles are turning left. If a bicyclist is coming from behind you and you’re turning right, leave at least 3 feet of space ( on the side of the road and allow the bike to pass before you turn. Anticipate sudden movements and child riders turning in front of you without looking or signaling. You must always stop when a school bus’s yellow or red lights are flashing and the stop sign arm is extended. This is a law in every state. Never pass a school bus after it has just dropped off kids. When stopping behind a school bus, stay at least 10 feet away so children can safely enter and exit the bus. Be alert and extra cautious as it is not uncommon for kids to run out onto the street around a bus stop. Leave a safe following distance in case the car in front of you has to stop suddenly. Avoid trying to squeeze by cars to make a right-hand turn. Don’t honk out of frustration. Other drivers are likely to be just as stressed out as you are and honking may make matters worse. Also keep in mind that there may be teen drivers taking their siblings to school. These new drivers may not be familiar with driving in traffic or with kids around. They may be extra cautious, so be sure to give them the benefit of the doubt. 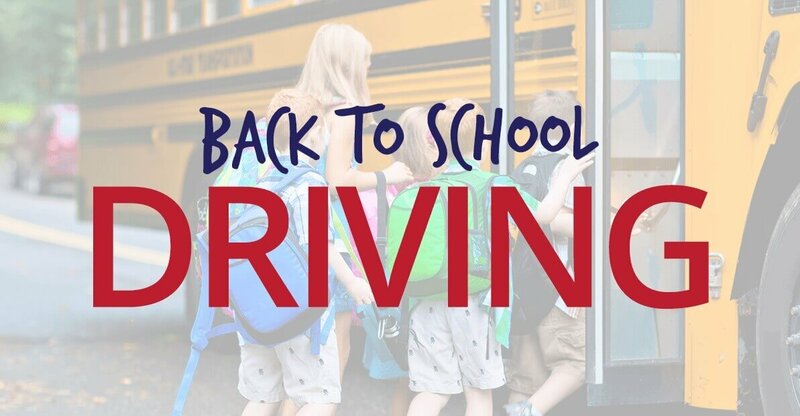 For some driving techniques or classes, visit https://911drivingschool.com/ before you head out on the road.